Michaël Dudok de Wit is a Dutch animator, director and illustrator, whose recent amazing, highly intelligent animated film “The Red Turtle” is about to hit the North American theaters. Prior to the Oscars, we already know that “The Red Turtle”, co-produced by Studio Ghibli will be one of the main contenders to secure the list of top five animated films of the year. Will it win or not does not really matter as long as it wins your heart. And it will, once you see it. 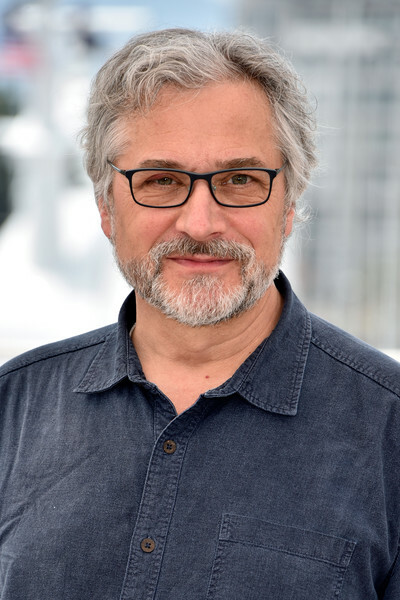 During the Toronto International Film Festival, I got an opportunity to sit down with an Award winning filmmaker, Michaël Dudok de Wit to discuss his work, the idea and the importance of making “The Red Turtle”. MOVIEMOVESME: This is your film since 2006. Why did it take you so long to make this film Red Turtle? Michaël Dudok de Wit: It takes a long time to prepare a film anyway, short films too. I did a commercial. I didn’t actually have the ambition to make a long film but the ambition was immediately woken up when I was approached by a studio in Japan. Suddenly I thought, “Okay, I didn’t expect this but yes I want to make a long film.” Then it took a very long time to develop this story. The storyboard took a long time because you need to have to draw. It started in 2007 and continued till the end of 2011. Then the film itself took 3 years to make but that’s normal. MOVIEMOVESME: You co-wrote the script. What did you find fascinating in this character with no name? Michaël Dudok de Wit: I like the purity of the idea that we don’t know which country he comes from. You can recognize his race but we don’t know where he comes from and which century he lives in. In a way you don’t need to know; you just want to identify with someone who’s just totally lost in the sea. The dialogue indicated his nationality in a way so we decided to drop the dialogue altogether. The same with the other characters, the woman you don’t know where she’s from. MOVIEMOVESME: What about the idea behind The Red Turtle? Michaël Dudok de Wit: I can’t give a precise answer but when the idea came it just felt so good. When I was thinking about the story I was wondering why can’t he leave the island, maybe there’s something in the sea that stops him but he tries again yet he can’t. I wanted him to meet a woman but wasn’t clear how to make it happen. Suddenly it all clicked and I thought, “This is it, this is perfect.” It sounds a bit easy but you have to ask yourself, does it work in the story? I was aware it was a mystery, the origin of the woman was a mystery. I think some people will say I don’t understand but it is good like that. MOVIEMOVESME: Despite having no dialogues the story was beautifully expressed. What kind of work went behind creating this potential Oscar contender movie? Michaël Dudok de Wit: My worry was that the film feels complete and everything works together. I discussed a lot with my collaborators, with my co-writer we talked about the flow all the time. With my editor we talked about the flow. It’s basically very slowly, step by step, all the time looking at different possibilities and finding a way to work. When someone says the film looks really simple, that for me is a big compliment. The moment I decided to drop the dialogues, at least it was clear they were not going to explain verbally anything. Then the spectator knows they shouldn’t expect things like, “Where are you from, why are you here” etc. MOVIEMOVESME: What was the idea behind making him face one danger after another and then create his life as paradise? Michaël Dudok de Wit: He is not me but I ask myself what I’d do if I were in his position and that helped. He’s impulsive, that makes him more interesting. I like the idea a lot that he’s in conflict with nature, especially in the beginning. He’s not at home, it’s not his place. Gradually in the film not only does he get in harmony with nature but in a way he realizes how much he has always been nature himself. What is also interesting is that he will also fall in love with a woman very simply with no flirting, no artificiality. I want4ed to show he’s good with his hands, so if he wants something, he’ll do it. MOVIEMOVESME: My understanding is that the turtle or the woman was there to help him grow old and not go crazy or commit suicide. Was that the intention? Michaël Dudok de Wit: It’s one of the purposes, not the purpose. What I really wanted to do was something that felt natural. We don’t know why she attacks his raft every time he comes out of the beach. She has something important to do and they really want to be together. She respects the man and she wants to be with her. I wanted to make sure she’s a good mother and to me she is nature. It’s really hard to say in words. MOVIEMOVESME: As a filmmaker you have to reanalyze and revisit the project you’ve done and every time there’s something new you can learn. Michaël Dudok de Wit: In this case, yes, and it’s conscious. I knew it would be a film with questions, I knew it would be a film with mystery. But to me there’s such a thing as beautiful mystery. Ideally I don’t want the spectator to say, “I don’t get it, it doesn’t work for me” but more like, “I don’t know why but it works for me” would be ideal. I’ve seen stories like that myself and deeply love those stories.